Have you ever been in a boring work meeting? Chances are yes, and you know the feeling of being hit over the head with pointless numbers, meaningless diatribes and unnecessary brainstorming from your superiors. Sometimes it feels like work meetings are held for the express purpose of being boring, and sucking the life out of the day. That’s why we had to put together the ultimate “Work Meeting Survival Guide” to help you get over the hump, and get through your next meeting without having to pull out your hair and give your two-weeks notice. With that in mind, let’s look at the 5 most important tips which are going to help us pass the time at our next work meeting! Do you need to go to the nuclear option before the meeting even begins? This is a question that you can ask which will either make you the workplace hero, or the workplace scapegoat. In all seriousness, though, every work meeting should have a purpose. Vague “status/progress updates” don’t do much to help progress any projects, when it is mostly your coworkers trying to come up with things that they did last week besides play minesweeper and google their symptoms after they had one bad taco bowl. 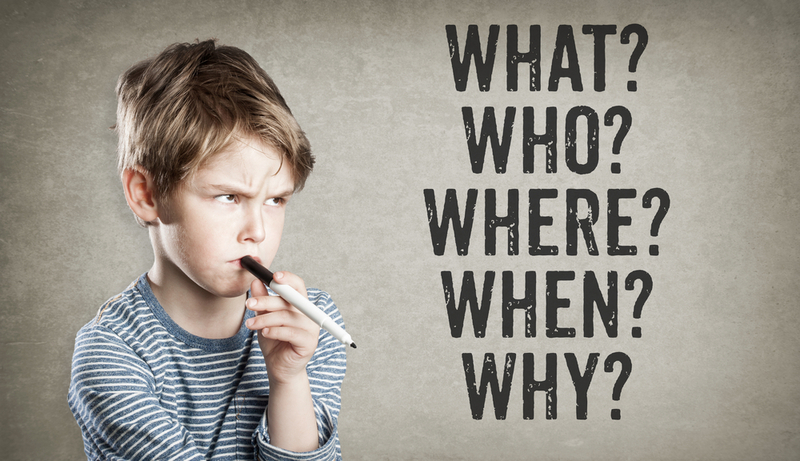 All you have to do is ask “why are we having this meeting?” – your meeting might be over before it even began. If you can’t be productive at work, you may as well be productive in your personal life. 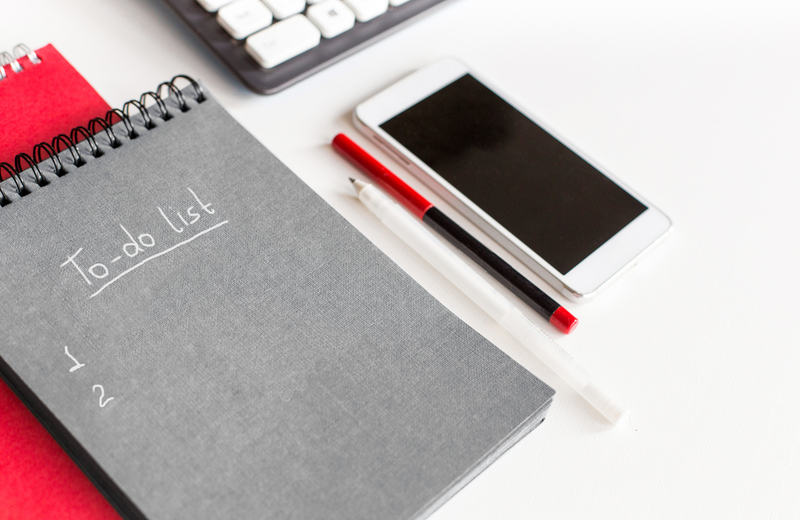 Always bring a notepad with you into any meeting, not only because taking notes connotes listening, but it can also help organize the random thoughts that you might have during any random meeting. Need to go grocery shopping? There’s a list for that. Need to rank your favorite sitcoms of all time? Boom. Want to see if you can name all 50 states in one go? Done. Not only does it look like you are enraptured by the current conversation, but it helps you organize your life and your brain in oh so many ways. Okay, this one might be more painful than productive, but it is going to ensure that you are able to pass the time effectively while you are going through last year’s financials and hearing about benchmarks. It is also a good opportunity to actually take in what is going on in the meeting since the tactile effort of writing notes can help you absorb that data. The only problem with this method is that you are actually going to be accountable for the notes that you take, so they better be amazing. Sounds simple, doesn’t it? Actually speaking up and asking questions during a meeting can actually help you not only play an active role in the meeting itself, but it can help things go by faster. When you ask questions, you help move the action, instead of watching someone squirm in front of their coworkers and pray for the minutes to go by faster. Not only will you coworkers like you, but it actually might make the meeting a little bit less painful. Ah, the classic. It’s time let your inner Picasso roam free on your notepad in this meeting. Do whatever feels right – impressionist, abstract, realist, whatever your heart desires. Try and send messages to your co-workers by writing doodles upside-down, or simply steal a moment away for yourself and try to perfect your name (or how your name might look if you married your celebrity crush). This is where a little creative thinking is okay, did you know that research shows that those who doodle are actually still taking in the information, and perhaps even doing it more effectively? If someone calls you out, simply tell them that you are doing data visualization and that they need to keep their eyes on their own canvas…er, notepad. Make your next work meeting actually memorable, and follow some of these tips to survive it with grace, speed and ingenuity. There is nothing quite like a boring work meeting, so inject some life into your next proceedings and ask questions, take notes and doodle to your heart’s content. 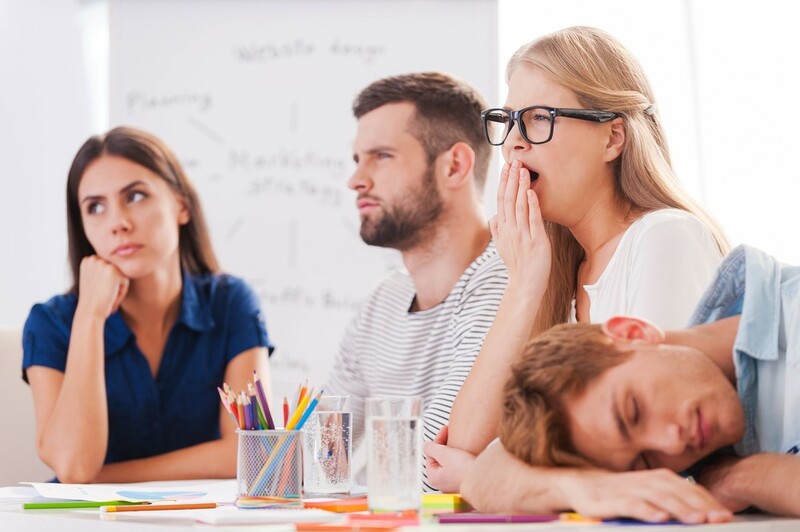 After all, only you can prevent boring meetings.